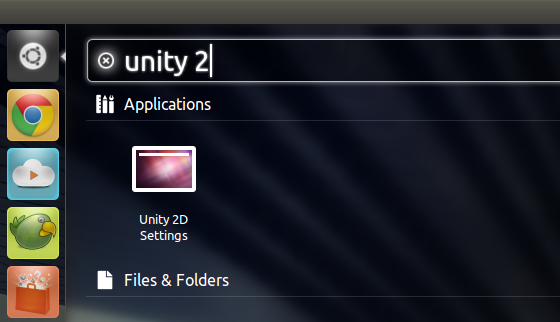 Unity 2D Tweak App Updated for 11.10 - OMG! Ubuntu! 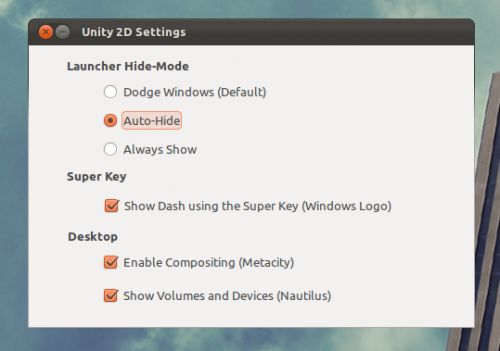 Users of Ubuntu’s Unity 2D desktop – the lighter, less resource hungry version of Unity – might wish to tweak certain part of their desktop – such as when or how the Launcher hides. ‘2D-Desktop Settings’ is a small third-party tool that provides users with a simple way to do just that. The handful of tweaks offered by the app saves the need for entering terminal commands or�messing�around with�advanced�configuration editors. As handy as the tool is it’s not yet available to install from the Ubuntu Software Centre. But don’t fear – it’s super easy to install.